I finished this book days ago and I am still thinking about it. I don’t quite know how I feel about this because it was just so different. If y’all remember my First Lines Friday, I said that I was going into this pretty blind because no one I’m friends with on Goodreads has really read it. And, I still don’t quite know how to feel about this book. It was very vague. It never felt like the situation or things were well-explained, even though I was paying pretty close attention to it. So, I’m going to explain it the best I can. There’s this semi-fictional world where pregnancy has become illegal because the babies that are being born have evolved. Now, they don’t all live, but the government is terrified by this next step in human evolution that they are seeing. So, they imprison all pregnant women to monitor what is going on with them and their pregnancy, then to whisk the kids they have off away from them. Enter Cedar, a Native American woman adopted by a white family as a baby. She’s pregnant and is keeping it a secret from everyone. The book is the journal she’s writing to her child. During the book, she reconnects with her birth family and then it all goes to hell, in a way. It’s a difficult to explain book because I don’t want to give too much away. It’s short, but it’s a bit plodding in areas. A perfect slower, existential winter read, tbh. However, I definitely don’t think it will appeal to everyone. It relies heavily on Christian symbology. I mean, look at the title. It refers to the Immaculate Conception of this God-man, Mary’s body being the future home of the God-child. Hell, even the name Cedar was given at birth was Mary. It’s highly religious but, as a religion nerd who likes making those connections, it was appealing. But, at times, it felt too symbolic and allegorical. Like, “I GET IT! You can stop going on and on about it.” It made me roll my eyes sometimes just because of the way the book was set up. And, the ending? There was no resolution. Things just stopped. I can see why it did that, but I don’t have to like it. The book just ended and that was it. I wasn’t sure how to process it and, to be honest, I still am. I don’t know if I liked the book or not. I did but I didn’t at the same time. I probably won’t reread the book either. 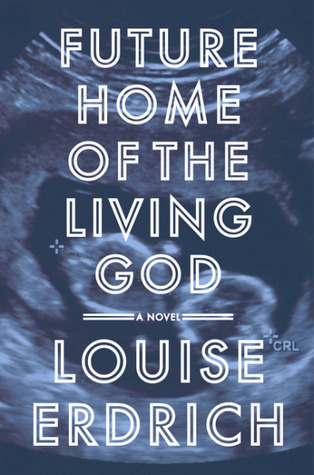 It was a difficult book to put down because I was so compelled, but when the end came I questioned the whole point of this book beyond a chilling look at the future that was wrapped in Christian symbology. Since I know no one read this, I won’t ask the usual question. What’s a book you read that you liked and didn’t like?